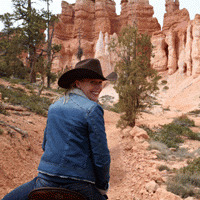 Equitrekking’s Emmy nominated host Darley Newman rides Utah’s great outdoors at national and state parks throughout the state, including Bryce Canyon, Snow Canyon, Capitol Reef and Antelope Island. Equitrekking Utah begins with a ride into beautiful Bryce Canyon National Park to see the stunning hoodoos, sprinkled with a frosting of snow. Darley learns about the history of the pioneers as she wrangles bison on historic Antelope Island on the Great Salt Lake. 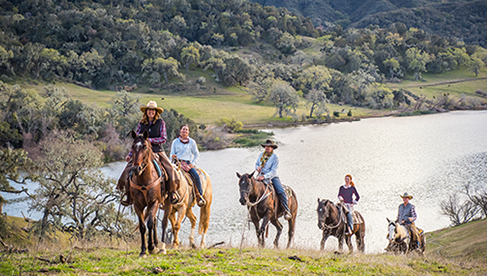 Antelope, bison and a variety of wildlife roam this island, which is now a state park. 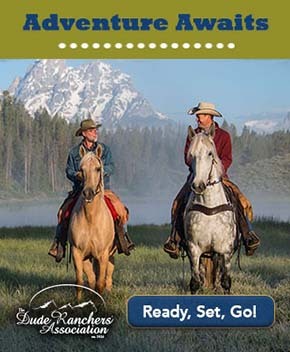 Viewers see stunning snow covered Rocky Mountains and Salt Lake City in the distance as Darley and her local guide, Ron Brown, ride the island. After taking time to drive scenic Highway 12, Darley rides in lesser-visited Snow Canyon State Park. Many Westerns were filmed among the desert-like expanses of Snow Canyon, with its lava flows and towering white sandstone canyons. Next, viewers experience Native American history on a ride to see petroglyphs and other rock art in colorful Capitol Reef National Park.